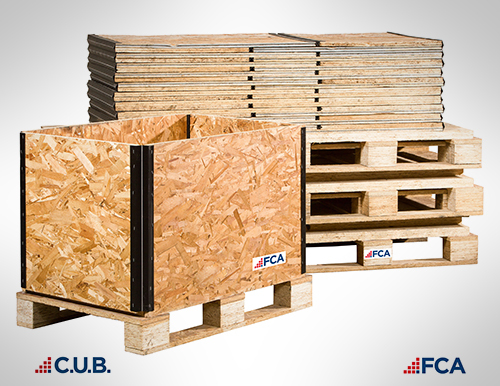 FCA's Collapsible Pacakging saves significant money on inbound and outbound freight costs, as well as storage costs. 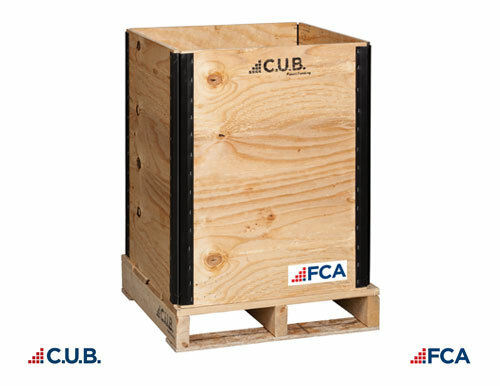 Standard FCA dimensions allow for high cube utilization in shipping. Stackable, saving space in storage and freight. In fact, 1,000 collapsed CUB’s can fit onto the bed of a truck. We provide a wide array of collapsible packaging solutions for industrial equipment ranging from engines to electrical and aerospace equipment. 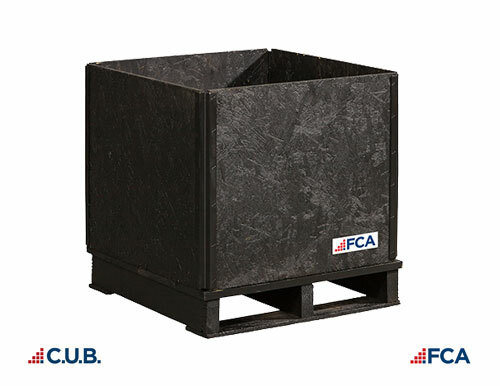 FCA’s utility box is entirely collapsible and returnable. This collapsible box comes in two standard dimensions that are optimized to achieve the lowest cost and highest cube and freight utilizations possible and provides better protection, more cost savings, and can be assembled faster than pallet collars and other comparable offerings. 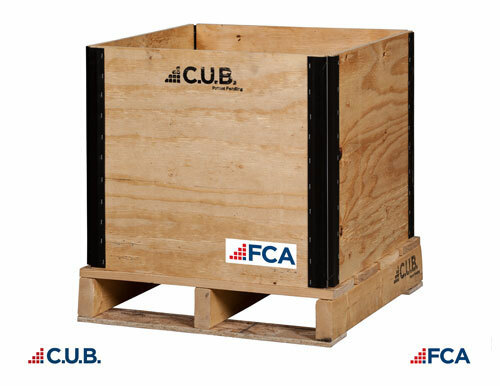 FCA’s utility box is entirely collapsible, saving significant costs on freight and storage. This box can be used to ship both loose parts and specific equipment. It can be customized for specific dimensions and weights of any industrial equipment. 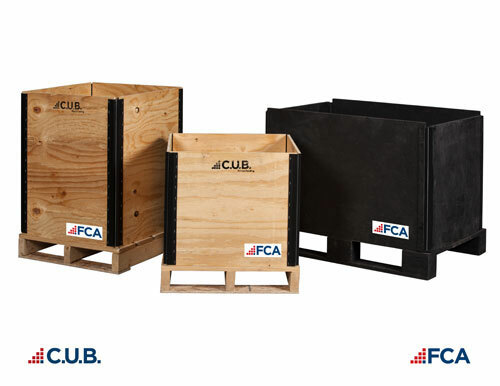 FCA Packaging’s Collapsible Utility Boxes are available in various sizes, with or without lids, and available in various coatings. The “CUB” is not only more cost effective than pallet collars, but it can also be assembled and unassembled in a fraction of the time. 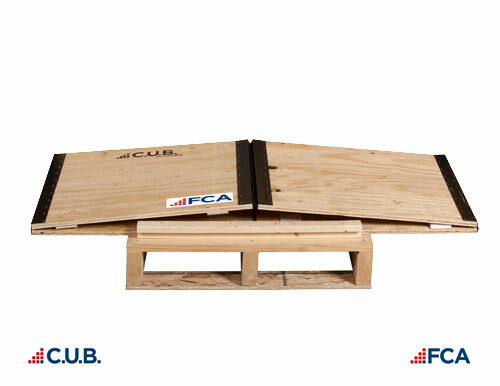 FCA’s collapsible technology is also available in heavy duty foundry-style boxes capable of shipping heavy and loose foundry items. Available in any dimension. FCA also offers a wide array of coatings on any of its collapsible boxes for weathering, returnability, marketing or even esthetics. The coated utility box is ideal for returnable or reusable packaging since the coatings enhance the lifespan of the product.